Hi All, I am looking forward very much to working with you in all of the following units: Nineteenth Century Literature (ENGL200); Shakespeare & The Renaissance (ENGL210); Introduction to Literature (Clemente- Mission Australia Students, ENGL104); Learning in the Community (HUMA247)and (ARTS232). This is the space where I will be posting my weekly reflections on our collaborative teaching and learning and where I will also be posting questions for you (if you are in one of my Literature Units). So please make this site one of your favourites and log in frequently to read, see and hear the delights I can dig up to accompany your learning experience. 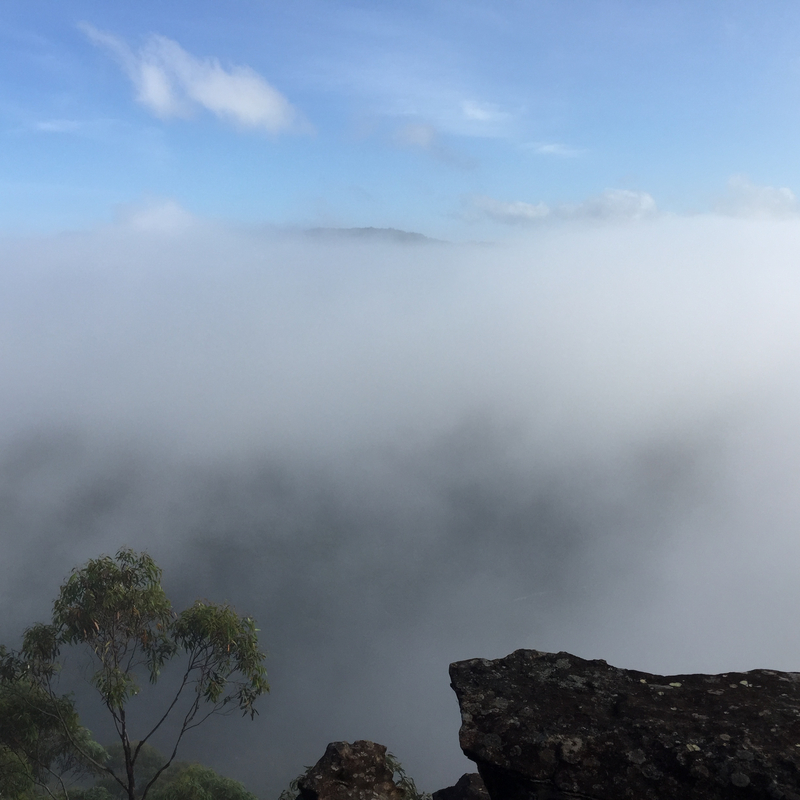 Meanwhile enjoy a few snaps if have made on my Autumn Bush Walking adventures (the image I have used at the top of my blog is looking over Galston Gorge at dawn- this is one of my very special favourite places). 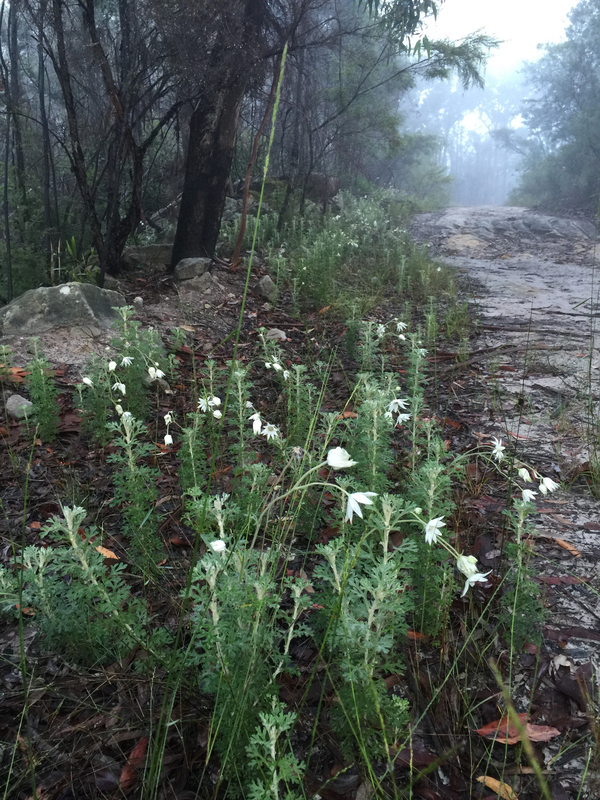 An early dawn walk behind Winmallee took to me to Shaw’s Ridge where there was an incredible colony of flowering flannel flowers punctuating the way on this cool, misty Autumn morning. Coming down Shaw’s Ridge takes you to a Blue Gum forest with amazingly tall blue gums. I thought I would try out the panoramic function on my new iPhone 6 plus: pretty cool. Finally arriving at our destination (The Gross Valley Lookout) we could hear the river loudly from below in the valley (probably around 1000 metres below! ), but much of the other side and the valley itself was obscured by morning mist. I am now at acu. Even though I may not have the privilege of being in your lit104 class, I may get to be in your huma247 if you are lecturing during winter break school. It’s my hope I will get to share a coffee with you on campus sometime soon. I am on campus Mondays and Fridays. I am also in the choir. Rehearsals are 5pm monday so I have an hour or so monday arvo or friday from 1 to 3 between classes.